I’ve talked about SFG as a hobby, food machine, family activity, right up to a solution for world hunger. Of course, all the people, companies, organizations, and anyone dealing with world hunger, including all of the governments (both ours and theirs) don’t really want a solution to world hunger. Shocking, you say? Why, you ask? Because if that happened, all of the above would be out of business and have nothing to do. So despite the terrible accusation that they don’t want a solution, I’ve seen this in its true form in many cases, both in church organizations, governments on both sides and humanitarian organizations. You know the old biblical saying, “Give a man a fish-teach him to fish.” Our foundation’s thoughts are to teach the women of the family how to have a small garden right outside their backdoor and raise fresh nutritious crops to improve the nutrition of their children. After all, a woman’s goal in life is to raise happy healthy children. A man’s goal in life is to support and take care of his wife and children. But we have found that men have too many grandiose ideas and plans and can’t grasp the solution of their family’s hunger and malnutrition in a small box of plants at their home. It just doesn’t seem like a big enough solution. That ends up in being the same thing. But then we thought, if we could train people to be SFG Teachers/Instructors, we could then set them up to teach others and to sell SFG products to earn even more family income money We could start our own Amway Company and even something like Mary Kay. The only difference would be that our goal is not to create a profitable business for the SFG Foundation, but to allow more people to earn their own money and share the knowledge and joy of Square Foot Gardening. So to join this, all you have to do is become a certified instructor and there are several ways to do that. I think the best way is attend one of our three day symposiums. That way, it’s a concentrated, hands-on, meet the leaders of our foundation and be trained in person by them. Check our events on the SFG website. 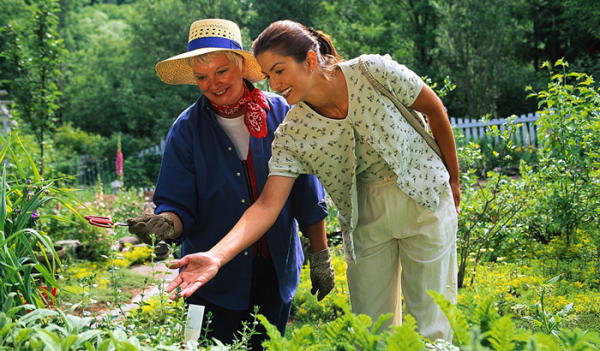 You can also volunteer to become a host with either your master gardener group or just any group that you belong to, and we will see that it gets taught by qualified leaders. Once you become a certified instructor, you can then start teaching in your neighborhood and area everyone that wants to learn a simple, easy method of gardening. If you give lectures, you can charge for them, and usually you can sell books after. You order the books wholesale from our SFG Foundation and sell them at the retail price, sharing and pocketing the proceeds. As they say on TV…But WAIT! There’s more: We can help you set up workshops you can give right in your backyard or suggest how you can become a coach for individual families. We even have a separate publication, a section taken from my second book, titled “Cash from Square Foot Gardening,” on how you can raise and sell your own crops from your backyard. It tells you all the details on how to set up your own grocery business, who to sell to, how to sell, and all the other details for running a small business, even if you’ve never done it. So there are lots to do, but you have to take the first step. Become a Certified SFG Teacher/Instructor. Do it now, this spring and summer. You’ll never regret it.